There is no shortage of dealerships in the Long Beach area, but it is important to know that no two are alike. Many franchise dealerships that deal with a specific brand honor national specials that are offered by the manufacturer, but there are also locations with some deals of their own. 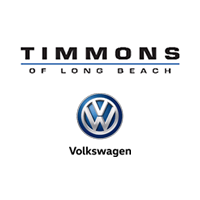 Here at Timmons Volkswagen, we set ourselves apart from the competition by offering a lifetime limited powertrain warranty and 10 years of roadside assistance on all of our new vehicles. It’s a deal you won’t find anywhere else. As the name suggests, the lifetime limited powertrain warranty that we include will all new vehicle purchases covers the powertrain of the vehicle. To put it most simply, the warranty covers the parts of a car that provide power and make it move, such as the engine, transmission and drivetrain. If certain parts of those systems need to be repaired or replaced, you’re covered. It is worth noting that all new Volkswagen vehicles come with a powertrain warranty as part of the warranty that comes from the manufacturer, but the warranty ends after five years or 60,000 miles, whichever you reach first. One of the benefits of our exclusive lifetime warranty is that there are no limitations. It’s especially appealing as powertrain issues typically begin to happen as the vehicle ages more. There are not typically many powertrain issues in the first five years. Another one of the advantages of our warranty is that it covers the area that is typically the most expensive to repair. Engines are complex machines, and it is not cheap to have them serviced, so having a warranty to cover the cost is crucial. It’s the exact reason we chose the powertrain for this exclusive warranty. In addition to powertrain coverage, if you find yourself with a dead battery or stuck in a ditch with no one to call, you are covered with the 10 years of roadside assistance that we throw into our warranty. As we said, this offer isn’t something that you’ll find elsewhere. If you are interested in learning more about our exclusive lifetime limited powertrain warranty, we encourage you to get in touch with the product experts here at our Long Beach location. If you want to get straight to the good stuff and want to take advantage of this offer as soon as you possibly can, your best bet is to check out our new car inventory, where you will find every single one of the vehicles that are eligible for this exclusive once-in-a-lifetime, lifetime warranty.